Double single use. 20 sq m. Comfortable, preciously furnished, twin beds or king size bed available, marble customized bathroom with bathtub or shower, hairdryer, toilet set, wide balcony. Max 1 person. Twin (2 beds). 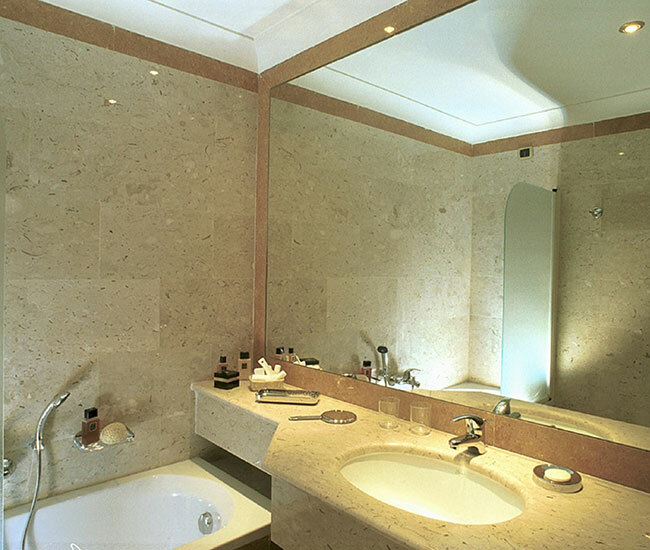 25 sq m. Elegant, twin beds, marble customized bathroom with bathtub or shower, hairdryer, toilet set. Max 2 people, extra bed or baby cot available. Double. 25 sq m. Sumptuous, king size bed, marble customized bathroom with bathtub or shower, hairdryer, toilet set, balcony or 15 sq m terrace. Max 2 people, extra bed or baby cot available. Triple. 30 sq m. Spacious room with 3 separate beds or one king-size bed and extra sofa single bed .Balcony, marble customized bathroom with bathtub or shower, hairdryer, toilet set. Max 3 people, baby cot available. Quadruple. 40 sq m. Two spacious rooms with 3 balconies. 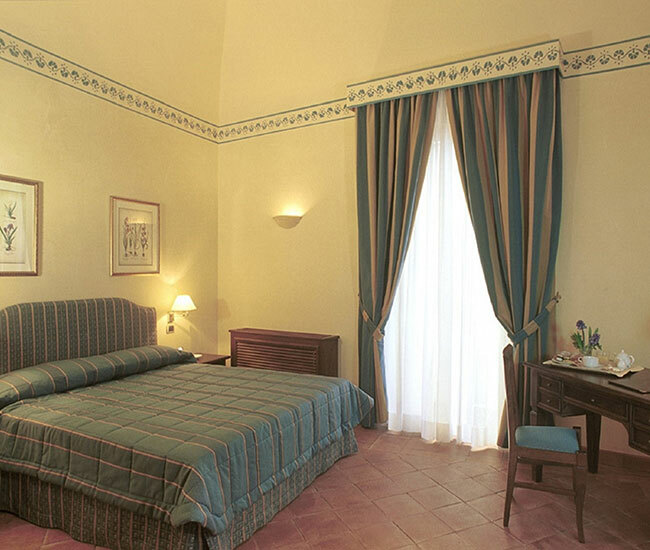 A bed room with king size bed and a living room with sofa-bed for two people, cooking area including kitchen utensils. Marble customized bathroom with bathtub, hairdryer, toilet set. Max 4 people, baby cot available.